HOPE Helps, Inc.–a non-profit in Eastern Seminole County whose mission is “to prevent and reduce homelessness in Central Florida by equipping individuals and families to become self-sufficient through Housing, Outreach, Prevention, and Education”–has moved its thrift store to a larger facility at a better location. The store’s new name is: The HOPE Chest. The new address is: 1802 W Broadway, Oviedo. And the new store hours are: 9:00 am to 6:00 pm, Monday through Saturday. But expanded hours and expanded space mean more volunteers are needed. So check out the many opportunities to become involved in this expanding and much-appreciated community resource. 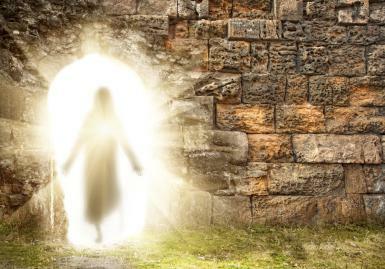 April 5 is Easter Sunday, a high day of spiritual celebration for Christians. Services in churches both large and small will feature special decoration, pageantry, high-quality music and a generally exuberant spirit. For those not of the Christian faith who’d like to visit a church, Easter can be an interesting time to do so. Many churches will have special services scheduled for Maundy Thursday and Good Friday as well the Sunday service. Just be sure to get there early–because you’ll be competing for a seat not only with regular attenders but with a large crowd who rarely come to church except at Christmas and Easter. Check local website listings for service times at the church you’d like to visit. To foster interfaith understanding, the Interfaith Council of Central Florida is coordinating a series of presentations at the Brookdale Island Lake retirement community (formerly Chambrel; 160 Islander Court, Longwood, FL 32750). The first four of the eight presentations in the series have been delivered (Hinduism, Baha’i, Judaism and Islam). On Friday, April 3, Navtej Khalsa, president of the Sikh Society of Central Florida, will speak, and on Friday, April 17, Dr. Michael Moriarty, a Zen monk, will speak. Each presentation will last about 25 minutes, followed by another 25 minutes of questions from the audience. Each presenter will address three questions: “How does your faith promote human dignity for all and work to eradicate prejudice and bigotry?” “What does your faith teach about humanity’s moral/spiritual obligation to help those who are less fortunate?” “What is the role and what are the forms of prayer within your faith tradition?” Subsequent presentations will be on May 1, 15, addressing Christianity and Unitarian Universalism. The presentations are free of charge and the public is invited to join the Brookdale residents for the series. Orange County Public Schools is inviting the faith community to help get the word out about a district-wide initiative designed to enhance student achievement through the support of community and family involvement. The initiative is called Parent Academy, and it’s free. The program provides skill-building workshops, specialized parental support, educational events, and activities for families throughout the school year. The next Parent Academy event is Saturday, April 4, at Windy Ridge K-8 School (3900 Beech Tree Drive, Orlando, FL 32835) from 8:30 am to 12:40 pm. The day’s theme–“Great Beginnings: Transitioning to New Heights”–will help parents whether their child is entering kindergarten, middle school, high school or college. Lunch is included, and interactive childcare is provided for children ages 4-12, so bring the whole family. Parents will receive free resources and each child will take home a free book. You may register online or call 407-317-3300 to register by phone. On-site registration will also be available on Saturday, April 4, at Windy Ridge K-8 School. James Coffin, Executive Director of the Interfaith Council of Central Florida, will speak on Easter Sunday, April 5, at the University Unitarian Universalist Society (11648 McCulloch Rd, Orlando, FL 32817) at 10:30 am. 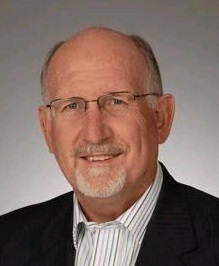 Coffin’s presentation will highlight the significance of the Resurrection in the teaching and practice of traditional Christianity and will also briefly examine how non-traditional Christians as well as some non-Christians draw inspiration from the resurrection by viewing it from a metaphorical/symbolic perspective. The title of his presentation is “The 51st Dragon and the Resurrection.” At 9:15 am each Sunday at UUUS an hour-long class meets called Inquiring Minds. The class engages in a lively, no-holds-barred discussion of a ranges of subjects that impact life both practically and philosophically. If you plan to visit UUUS for a 10:30am service, consider getting up a bit earlier and taking the opportunity to enjoy the Inquiring Minds class. The topic for the Interfaith Discussion on Wednesday, April 8, is: “How does your faith tradition view the interconnection of thoughts, words and actions–especially when they’re all in the unacceptable category? How much should we re-write classic literature and whitewash history because the thoughts, words and actions of people of other eras don’t necessarily match up to our standards today? What insights does your faith tradition provide concerning such things as political correctness and categorizing certain criminal behaviors as hate crimes?” The discussion group meets from 7:00 to 8:30 pm on the second Wednesday of each month at Adventist University of Health Sciences (671 Winyah Drive, Orlando, FL 32803) on Florida Hospital’s main campus. The discussions are respectful, open and candid, and the participants represent a variety of faith traditions as well as those who question the validity of faith altogether. For directions to the meeting place, click here. Admission is free. Everyone is invited. Shepherd’s Hope, a faith-based non-profit that provides free medical services to uninsured and underserved Central Floridians, is hosting its annual “Call to Hope” fundraising breakfast on Thursday morning, April 9, at the Presidential Ballroom at Church Street (225 South Garland Avenue, Orlando, FL 32801). Registration is at 8:00 am, with the breakfast and program to follow, from 8:30 to 9:30 am. Business professionals and passionate community members are invited to RSVP by phone (407-876-6699 ext 230) or email. “Climate Disruption: Choosing Our Environmental Destiny” is the title for the conference. The host organizations are Barry University’s School of Law and Center for Earth Jurisprudence (6441 East Colonial Drive, Orlando, FL 32807). 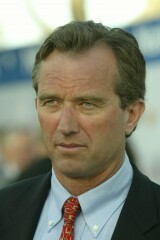 The keynote speaker is Robert F. Kennedy, Jr., attorney, author, environmental activist and the moving force behind the River Keeper program. The conference date is Thursday, April 9. The advertising copy states: “Global climate disruption has been called the most important issue of our time. We invite you to join us for Choosing Our Environmental Destiny, as distinguished experts explore international, national and local impacts and offer innovative approaches to address the challenges ahead.” The admission cost is $10 for non-Barry students, $25 for general public, $50 for attorneys seeking CLE credit. For more details about the conference, the agenda and how to register, click here. When East Indians began arriving in significant numbers on the West Coast of the United States around 1900, Sikhs were by far the largest religious group among the Indian immigrant arrivals. 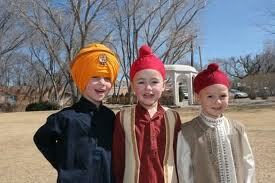 Sikhs accounted for at least twice the population of the Indian Hindus and Muslims combined. So when in 1912 the Sikhs built their first gurdwara (temple) in the United States (in Stockton, California), it seemed only natural that they would share their place of worship and assembly with their Hindu and Muslim Indian counterparts. This practice went on for several decades as the immigrants put down roots and increased in numbers until the Hindus and Muslims had the numbers and the resources to construct their own facilities. Read more at the website of the Tikkun Daily. 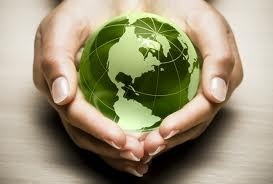 Join Valencia College’s East Campus in celebrating Earth Day, on Thursday, April 9, from 11:00 am to 2:00 pm. The event, which will feature displays and handouts from an array of environmental advocacy groups, will be held in the Mall Area between Buildings 3, 4 and 5 (see map). Granted that earth stewardship is an area of considerable agreement among most faith traditions, the Interfaith Council of Central Florida will staff a booth and distribute material discussing the spiritual obligation to care for the environment. “The Impact of Liberation on America” is the title of the next presentation in the Holocaust Center’s Teacher Forums series, scheduled for Thursday, April 9, at 6:00 pm. Center resource teacher Mitchell Bloomer will be the speaker. As Europe began to celebrate the downfall of the Nazis, the United States was still heavily involved in its deadly struggle against Japan. Yet the defeat of Germany had a significant impact on Americans–soldiers and civilians alike. As Allied forces began to encounter and liberate camps, Americans received sobering reports of the horror liberators encountered. The end of war is not a single moment but a process of triage, documentation and resettlement. In each of these, America was involved for better or for worse. The event, to be held at the Holocaust Center (851 North Maitland Avenue, Maitland, FL 32751), is free and open to the public. RSVP to Mitch Bloomer; 407-628-0555 ext 283. Educators may earn inservice credit for attending. The Florida Council of Churches, Unitarian Universalist Justice Florida and a list of other organizations and individuals representing an array of faith traditions are working together to bring to Central Florida a conference on climate, which will be held at Northland Church (530 Dog Track Rd, Longwood, FL 32750), April 10-11. The event includes presentations, movies, workshops, panels, discussions, a field trip and more (click here to see a preliminary agenda). Click here to register. When more than fifty years ago, a man in Maryland named Roy Torcaso sued because state law prohibited his becoming a notary unless he was willing to declare faith in God, the U.S. Supreme ruled unanimously (in Torcaso v. Watkins, 1961) that he had the right to be both an atheist and a notary. But similar “religious tests” are still on the law books in at least seven states–Arkansas, Maryland, Mississippi, North Carolina, South Carolina, Tennessee and Texas. Legal scholars say the politics, the cost and the complexity of removing such laws make it appear that they aren’t likely to be stricken any time soon. 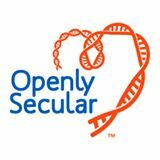 But a group called Openly Secular is doing what it can to at least raise awareness and make it more likely the laws will eventually be scrapped. A recent article in the Tennessean expands on the challenges the opponents of these archaic laws face in getting them removed. Many institutions of higher learning–if not most of them–have anti-discrimination policies that require equal access for all students to all on-campus student organizations, especially if those organizations receive any form of funding from the institution and want the institution’s imprimatur, free meeting venues and free access to institutional avenues for information dissemination. According to a recent post on the website of the Baptist Joint Committee for Religious Liberty (a website that’s worth checking out from time to time), Kansas legislators have put up a stop sign concerning such broadly inclusive policies. Religious on-campus organizations in Kansas can exclude those who don’t buy into the on-campus group’s religious ideology, religious observance standards, general behavioral expectations or conduct of mission. The new Kansas law seems at odds with a U.S. Supreme Court decision in 2010 (Christian Legal Society v. Martinez) that said institutions could create non-discrimination policies that required all on-campus student organizations to be open to all students, without exception. The Baptist Joint Committee’s take on that 2010 decision is worth reading. 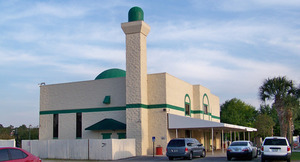 The Islamic Circle of North America, which operates the largest Muslim domestic relief program in the United States, has opened a Central Florida office at 701 South Kirkman Road, Unit 713, Orlando, Florida 32811. Currently the new office has more volunteers ready to assist than projects on which to put them to work. The group specializes in home repair/rehab, home/yard cleanup and neighborhood cleanup and beautification. And their assistance is offered to those of any faith or no faith. If you know of a family or community that could benefit from ICNA Relief’s services, please contact Arthur Richards by phone (407-227-3016) or email. The Islamic Center of Orlando is inviting the public to its Interfaith Spring Dinner on Saturday evening, April 11, at 6:00 pm at its facility at 11551 Ruby Lake Road, Orlando, FL 32836 (just off Apopka-Vineland Road, near Lake Buena Vista). The goals of the evening include: good food, celebrating diversity and connecting the community. Arthur Richards of the Islamic Circle of North America will be the featured speaker, followed by a question-and-answer period. Free babysitting is provided. RSVP by email or phone (407-285-7790) no later than April 4. 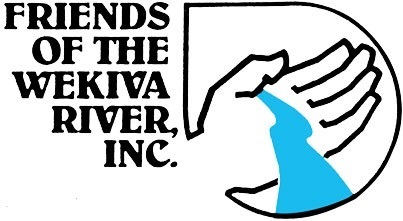 Friends of the Wekiva River are hosting “Discover Wekiva: Our Springs, Our Community, Our Future” from 9:00 am to 3:00 pm on Saturday, April 18, at Katie’s Landing (262 Wekiva Park Drive, Sanford). The day’s free activities will focus on the preservation, protection and the enjoyment of the Wekiva River Basin and all it has to offer. There will be a canoe/kayak race (see item below), guided canoe/kayak tours, bird walk, native-plant strolls, live animals from Central Florida Zoo and Audubon Center of Birds of Prey, speakers on various topics, live music and more. There will be displays by Wekiwa Springs State Park, Wekiva Aquatic Preserve Florida Fish and Wildlife Conservation Commission, Seminole County Public Works, Greenways and Natural Lands, Florida Yards & Neighborhoods, Cuplet Fern Chapter of the Florida Native Plant Society, Seminole County Master Gardeners, Seminole Audubon Society and Wekiva Parkway, to name a few. Food trucks will be on hand. Discover Wekiva will provide opportunities for the serious environmentalist and the casual observer alike to learn in an on-the-site, hands-on way about Florida’s aquifer, springs and rivers and how they all interact–not to mention the web of plant and animal life to which this unique ecosystem is home. For more information, go to the Friends of the Wekiva River website or the FOWR Facebook page. The Holocaust Center invites individuals and families from throughout the community to attend the center’s April 19 Yom HaShoah “in memory of those who perished during the Nazi reign of terror.” The Center hosts the observance each year to remember the lives of the six million Jews and millions of others who died during the Holocaust, and to honor the Survivors, Liberators and Rescuers who keep those memories alive. The event will be held at the Holocaust Center (851 North Maitland Avenue, Maitland, FL 32751) at 4:00 pm. The public is invited. Admission is free. Click here for more information, or phone 407-628-0555. And just what is Earth Day? 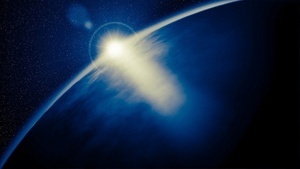 The following from the Earth Day Network website gives some background: “The first Earth Day on April 22, 1970, activated 20 million Americans from all walks of life and is widely credited with launching the modern environmental movement. The passage of the landmark Clean Air Act, Clean Water Act, Endangered Species Act and many other groundbreaking environmental laws soon followed. Growing out of the first Earth Day, Earth Day Network (EDN) works with over 22,000 partners in 192 countries to broaden, diversify and mobilize the environmental movement. More than 1 billion people now participate in Earth Day activities each year, making it the largest civic observance in the world.” Many regions host their major public events on the weekend nearest to April 22. Click here for a list of what will be happening at Central Florida’s Earth Day celebrations on Saturday, April 25, at Lake Eola in downtown Orlando. Did you know that 48 percent of domestic-abuse survivors delay leaving an abusive situation for fear their pets will be harmed? To counteract this statistic, Harbor House, a domestic-abuse shelter, is raising both awareness and funds through its Paws for Peace Walk on Saturday, April 25, at Blue Jacket Park (2501 General Rees Avenue, Orlando, FL 32814). Registration will be from 8:00 to 9:00 am. The walk will be from 9:00 am to 12:00 noon. One hundred percent of the walk’s proceeds will go toward making sure that survivors and their pets can be appropriately served at Harbor House. For more information go to the Harbor House website. 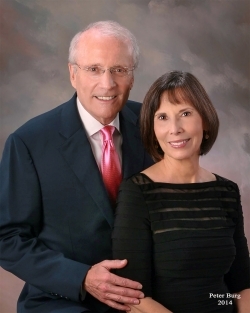 The Holocaust Center (851 North Maitland Avenue, Maitland, FL 32751) will honor local activists Susan and Gordon Arkin as honorees at this year’s Dinner of Tribute. For decades this remarkable couple has identified needs and inspired change throughout the community. Through their extraordinary efforts, the Arkins have bettered the lives of all who call Central Florida home. They are wonderful ambassadors for the Holocaust Center and its mission to create an inclusive, caring community where everyone feels welcome and valued. 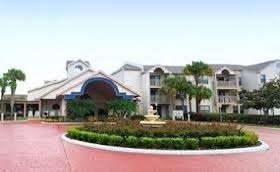 The Dinner of Tribute will be held Tuesday, April 28, at Rosen Plaza, 9700 International Drive, Orlando. Cocktails and Auction at 5:30 pm; dinner at 7:00 pm. Reservations are now being accepted. Information about donating auction items and other ways you can sponsor this evening are available by calling the Center at 407-628-0555, and information about reserving an ad to honor the Arkins and to support the Holocaust Center’s programs are available here. Click here to reserve your seat or sponsorship online. 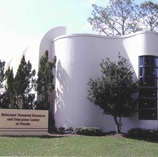 The Christian Sharing Center in Seminole County (600 North Hwy. 17-92, Suite 158, Longwood, Florida 32750-3638) invites the public to attend its annual Good Samaritan Breakfast on Wednesday, April 29. Coffee and check-in at 7:20 am. Tours at 7:30 am. Breakfast at 8:00 am. The event provides an opportunity to introduce new friends to The Sharing Center and reignite the passion of long-time friends concerning the center’s work to prevent hunger and homelessness. Click here to RSVP. Please do so by Wednesday, April 15. 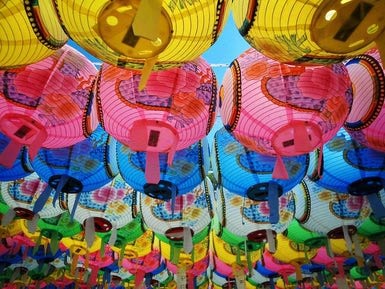 Guang Ming Temple (6555 Hoffner Avenue, Orlando, FL 32822) invites the public to its 2015 Buddha’s Birthday Celebration and Asian Food Festival from 10:00 am to 3:30 pm on Sunday, May 3. The event is free, though the food must be purchased. The Celebration Ceremony and Offering Procession in the temple will begin promptly at 10:00 am. The food festival and entertainment are expected to begin outside at 11:30 am. Entertainment will include a performance by the Taiko Drummers. Guests will also have the opportunity to tour the temple. This is one of the largest events Guang Ming Temple presents each year, attracting thousands from across the state. It is hosted by the Florida Chapter of Buddha’s Light International Association. For more information, contact Guang Ming Temple at 407‐281‐8482. 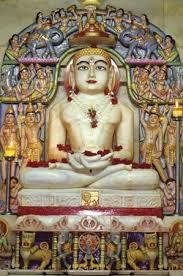 –A statement from the Jain Society of Central Florida.